We are your real estate connection for everything real estate. It doesn't matter where you plan to sell or buy real estate in the world, you will always be connected to the top real estate professionals in over 65+ countries, with 565 firms and 130,000 sales associates producing annually over $368 billion in sales and 1.1 million real estate transactions. Our firm is a founding share holder member of the world's largest real estate network. Leading Real Estate Companies of the World will ensure more buyer leads if you are a seller and stronger connections when its time to relocate using our complimentary relocation services. Click Here for complimentary Relocation Services. As your Real Estate Advisors for everything real estate, The REGNIER Group is here to help you relocate to or from ANYWHERE in the world. Click Here to learn more about our Network of Global Affiliations including Leading Real Estate Companies of the World, Luxury Portfolio International, Who's Who in Real Estate, Christies International Real Estate, Illustrated Properties Luxury Collection, The Keyes Company. With over 3,000 agents and 52+ office locations, Illustrated Properties (Keyes RE), a Keyes Family Real Estate firm is the largest independently owned real estate company in Florida and among the top 25 largest in the United States with $6 Billion in annual real estate sales and services. In 1975, FF “Bud” Adams, Jr. founded Illustrated Properties after his father FF “Bud” Adams Sr. started selling land on Jupiter Island and throughout South Florida in the 1930’s. Over the years IPRE has taken on “OUR ROOTS RUN DEEP”. 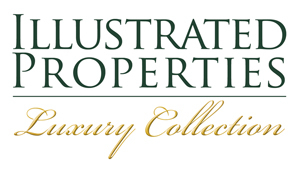 As a family owned real estate brokerage, Illustrated Properties is a well respected industry leader to the Palm Beaches and throughout Florida. 2018 - On pace for another record year of leading sales. $6 Billion - 2017 Real Estate Sales and Service Revenue as a Keyes Family Company. $5.8 Billion - 2016 Real Estate Sales and Service Revenue as a Keyes Family Company. Illustrated Properties merged with The Keyes Company July 2016. 2016, Top 25 Largest in The United States and Largest Independently Owned Real Estate Company in Florida. $1.4 Billion - 2016 Sales, #1 Market Leader as Palm Beach County. "Leading Real Estate Companies of the World" best in Marketing 2015. Prior to Merge 2015 Top 130 of 500 Real Estate Companies in United States and #1 in Palm Beach County. $1.43 Billion - 2015 Sales, #1 Market Leader in Palm Beach County. $1.34 Billion – 2014 Sales, #1 Market Leader in Palm Beach County. $1.4 Billion – 2013, #1 Market Leader for 13th straight year Palm Beach County.